"Gracious living in a Christian environment." 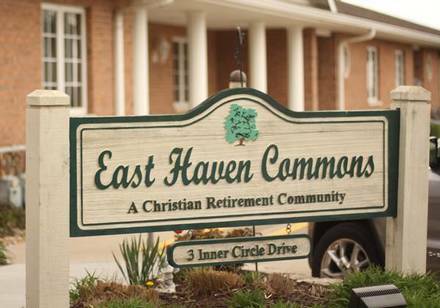 East Haven consists of 14 condos centrally connected by a corridor and bordered on both ends by large attached garages. Condos are individually owned. Fairview Haven owns some condos as rentals. Click here to see a brochure for more information about East Haven. ​at 815-692-2572 or by e-mail.